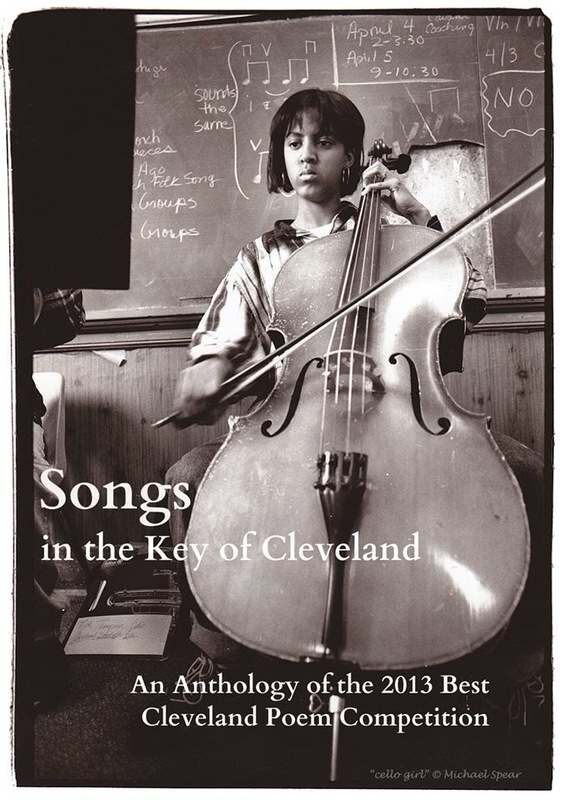 Crisis Chronicles Press is thrilled to announce the long-awaited publication of Songs in the Key of Cleveland: An Anthology of the 2013 Best Cleveland Poem Competition on 28 February 2014. The first annual Best Cleveland Poem Competition was held on Sunday, May 5, 2013 at the Willoughby Brewing Company. Songs in the Key of Cleveland features the best poems shared that day, including work by area lit stars Catherine Criswell, Katie Daley, T.M. Göttl, Dianne Borsenik, Geoffrey Landis, Joshua Gage, Terry Provost, Jack McGuane, Ruth J. Coffey, Martin Snyder, Jeffrey Bowen, Mary A. Turzillo and competition emcee Ray McNiece. The book is around 40 pages, perfect bound, 6x9" and a steal at only $10 from Crisis Chronicles Press, 3431 George Avenue, Parma, Ohio 44134 USA. Dr. Claire McMahon says "This is a great collection...!" Available now by mail and online — and soon from particular local independent bookstores across the country! Please join us for the official Songs in the Key of Cleveland release party on March 3rd during Mondays at Mahall's Poetry & Prose series, hosted by Catherine Criswell at Mahall's 20 Lanes, 13200 Madison Avenue in Lakewood, Ohio. Meet and hear many of the contributors there. 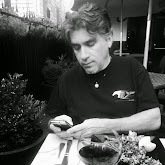 PLUS... the evening will feature a reading by Cleveland lit superhero Brad Ricca, author of Super Boys. Talk about a dynamic duo! Update: Now its second printing. 250 copies in print so far. For more information about the annual Best Cleveland Poetry Competition sponsored by attorney Tim Misny, please click here. Crisis Chronicles Press is thrilled to cut loose this fine new chapbook by Ben Heins on 23 February 2014. Cut Me Free is a brave and rich, lovingly handmade eighteen-page chapbook, a tasty word stew seasoned with astute erasure, pregnant margin variation and other deftly applied spices/devices. Highlights include "Letter of Disaffiliation to Freedmans Lutheran Church," "Delivering the Eviction Notice, Christmas Eve," "Reconsidering the Single Father," "I've Got This Grin You'll See from Space When You Come Down" and "Songs from the Ruptured Amniotic Sac." Cut Me Free is in 8.5x11" format and sidestaple bound using high quality cream and burnt orange card stock and faux ivory parchment paper. Get yours while supplies last. Limited edition of 100 copies. A steal for only $4 from Crisis Chronicles Press, 3431 George Avenue, Parma, Ohio 44134 USA. 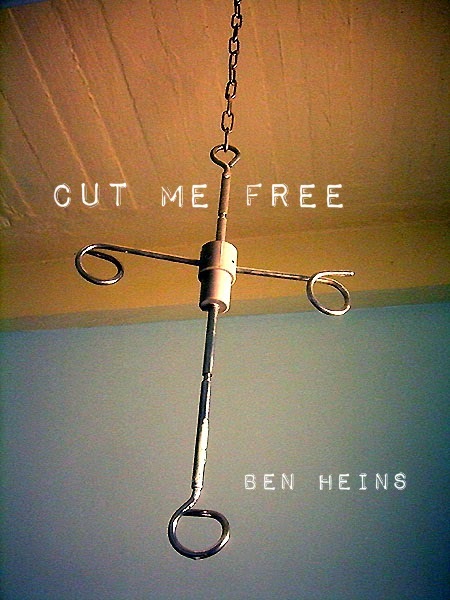 "Ben Heins' vivid, disturbing poems are full of passion, empathy, and rage. In Cut Me Free, the poems cry out for freedom in the voices of collapsed, 'soul-sucked' balloons, an eviction server on a slippery front step on Christmas Eve, and a single father estranged from his own father. The book begins with a 'Letter of Disaffiliation to Freedmans Lutheran Church,' but the church and the idea of God can't be so easily escaped. From first to last, the poems take on big issues: a 'collapsing country' where a man is freezing while the speaker in the poem locks his doors, a person who is dying despite pills and an IV drip, and a church greeter who can't forget a murderous mental patient who collapsed in front of a congregation 'screaming for God.' Heins writes skillfully in forms ranging from a terzanelle ('I've Got This Grin You'll See from Space When You Come Down') to poems such as 'Songs from the Ruptured Amniotic Sac' that are split open on the page by the intensity of the feelings they express." "Very powerful stuff here. Excellent work.... Ben Heins does not mess around when he writes. These poems are very powerful and use language extremely well. It is some of the best new work I've read in quite awhile. Crisis Chronicles has published this book and I would like to encourage anyone who really cares about poetry and the written power of the word to order themselves a copy before they go away. This is what you've been wanting to read even if you didn't know it." — D.R. Wagner, author of Breaking and Entering and Continuing Lecturer in Design at UC Davis. "I like the look of [Cut Me Free], the size of it, and the layout of it.... Yes, it's unconventional—but it's arty and I think it fits the material well. The colors are great, and it's obvious the cardstock and paper are of high quality. I think the poems benefit from being isolated on one side of the page, and I also think it helps give the book physical heft." — Dianne Borsenik, author of Fortune Cookie and publisher for NightBallet Press. "Yesterday's mail brought copies of Songs in the Key of Cleveland and Ben Heins' Cut Me Free. Heins was a good read, now onto Cleveland Keys." — Steven B. Smith, author of Zen Over Zero and publisher of ArtCrimes. — Krysia Jopek, author of Maps and Shadows. Click here to read selections from Cut Me Free in the Crisis Chronicles cyber litmag. Click here to view ratings of Cut Me Free at Goodreads. Ben Heins is the author of Greatest Hits & B-Sides (Vagabondage Press, 2012). He graduated from Rosemont College in 2012 with an M.F.A. in poetry and from Kutztown University of Pennsylvania in 2008 with a B.A. in professional writing and a minor in English literature. He currently teaches at Rowan University and the Richard Stockton College of New Jersey. Find him at www.benheins.com.